Garivier, A, Kaufmann, E, & Koolen-Wijkstra, W.M. (2016). 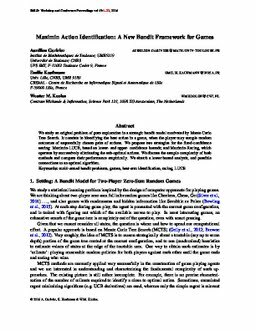 Maximin action identification: a new bandit framework for games. In V Feldman & A Rakhlin (Eds. ), JMLR: Workshop and Conference Proceedings (pp. 1028–1050).